Wannabe mobile guitar heroes and pocket sized metal axeman toting Samsung devices should be stoked to hear about the release of the first Android guitar amp and multi-effects app and digital guitar interface. Available for the for Samsung Galaxy Note 4, Galaxy Note Edge and more, the AmpliTube and iRig HD-A lets users connect their guitar or bass to their Android device and make sweet sweet music. AmpliTube is the most popular multi-effects app for mobile guitarists and bass players and simulates the full amplification and effects chain used by musicians to perform both live and in the studio. 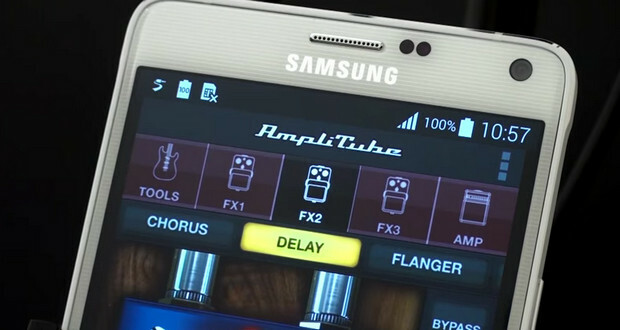 The new AmpliTube app for Samsung devices packs a full guitar rig made of up to 3 stompbox effects, an amplifier, a speaker cabinet and a microphone. Guitarists ready to go one louder can experiment with up to 11 stompbox effects, 5 amplifiers with 5 cabinets and 2 microphones. There’s also 15 custom presets and a digital tuner, with the app coming in three flavours: full, free and LE, with the difference being the number of effects and amps included. 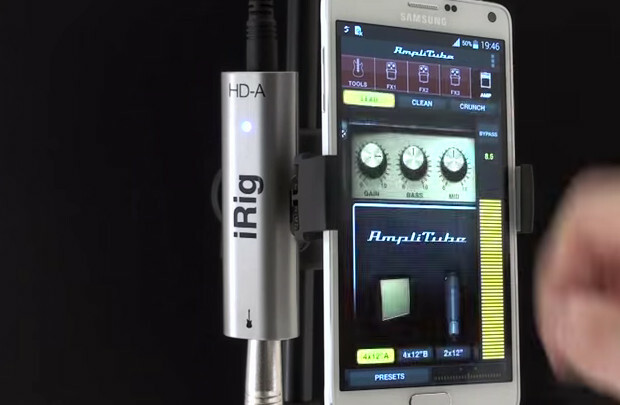 Of course, to start enjoying all those full fat guitar sounds you’ve got to be able to plug your axe into your phone, and for that you’ll need the new iRig HD-A. 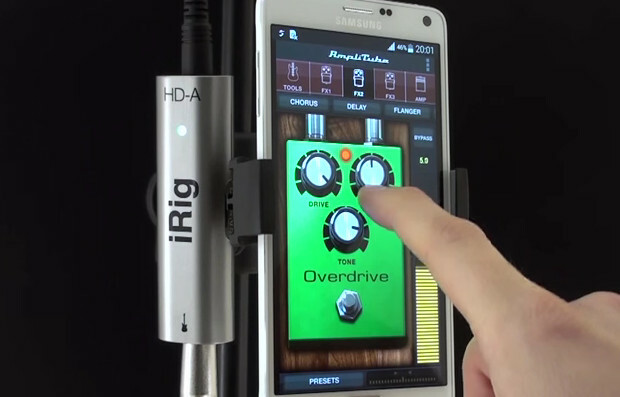 Claimed to be the first digital guitar interface for Android that allows plug-and-play connectivity, it packs a high-definition 24-bit/48kHz A/D converter and offers a direct high-impedance input for guitars or other instruments, plus a direct connection to the device via the included OTG cable (an additional USB cable is also available for use with PC). Input signals can be adjusting using the onboard gain potentiometer, while a multicolour LED displays the optimal signal level. The processed sound can be monitored from the regular mini jack output of the device through headphones or speakers. 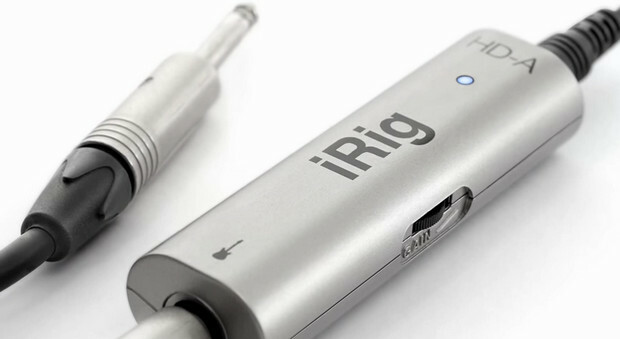 Along with the iRig HD-A, users can also choose from IK’s range of analogue interfaces, like the iRigguitar interface adapter or the iRig Stomp pedal interface. Both use the mini jack for the input/output connection with the device. Now mobile guitarists and bass players have many options that suit a wide variety of needs, applications and budgets. Previously not possible on Android devices, the AmpliTube app allows users to process audio in real time without perceptible latency, thanks to the new Samsung Professional Audio system. The new Samsung Professional Audio compatible devices come with Samsung SoundCamp, a free and fully-fledged music studio app that lets musicians record and compose full songs entirely within the device. The AmpliTube app can be used as a standalone application but also as a plug-in inside the new SoundCamp studio for full recording and play-along uses. Will it be svallande for galax s5 mini as wellpapp? does this tab 4 have an app that plays drums to play along your guitar to?